This is an awesome music video of a bunch of South African kids at school dancing to a popular song known as 'Tsa Mandebele'. It was such a huge hit that it was celebrated as the song of the year in 2013. Off the back of its popularity the Kwaito DJ Oskida put together a version of some kids singing the song. Posted on April 11, 2015 by Adamu Waziri and filed under Fun Stuff and tagged African children. 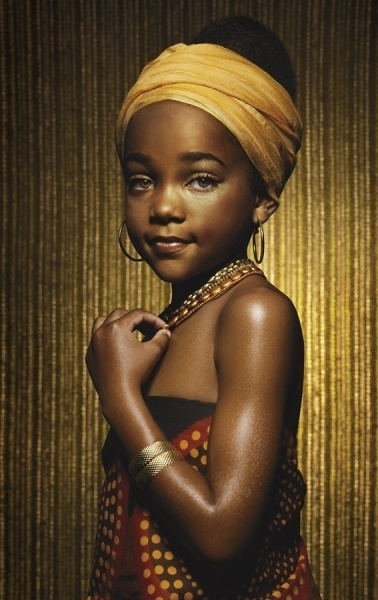 Beautiful picture of young girl in African traditional wearWe absolutely love this picture. She is just radiating wonderful energy. We have tried to find out who took the picture with no luck but they did a wonderful job. Posted on March 21, 2013 by Adamu Waziri and filed under Fun Stuff, Thoughts and Views and tagged Africa African children.